In my track searches, I have come across some behemoths, some truly gigantic stadiums. So for the next few posts, I will be showing those that have a seating capacity of at least 100,000 people. To start out, today’s track is located inside Azadi Stadium, the national stadium of Iran. 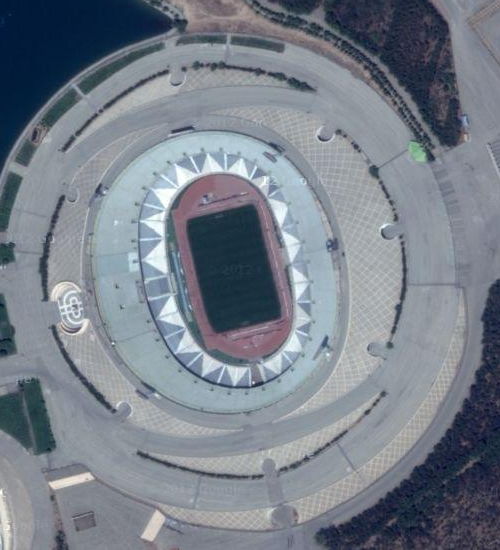 The stadium is part of the Azadi Sports Complex, and has an official capacity of 100,000. There is a secondary track close by as well.